Miniature Sheep are ruminants and have four-chambered stomachs. They are cud-chewing animals. Male sheep are called rams. Female sheep are called ewes. Miniature Sheep mate from August to December. It takes a female sheep five months to have a baby lamb. Miniature Sheep give birth only one time a year, usually in the spring. They often have twins and occasionally triplets. The baby lambs are usually weaned between eight to twelve weeks old. Here at Tanglewood, because the mama sheep are so tiny, we supplement feeding the lambs with milk bottles along with the babies naturally drinking from their mamas. All of the breeds here at Tanglewood are registered with “closed” breed registries that maintain the accuracy and integrity of each breed and their identification, lineage and measurements. This is different from “open” registries that take any animal and do not have the “family tree” to trace lineage and origins. Those of us that have been breeders for 30 years plus, we have on our registration papers, the original “foundation” bloodlines which are the purest of the breeds. Robert Mock who passed in 2012 was passionate about saving the “Babydoll” Southdown Sheep and started the Olde English Babydoll Southdown Sheep registry. 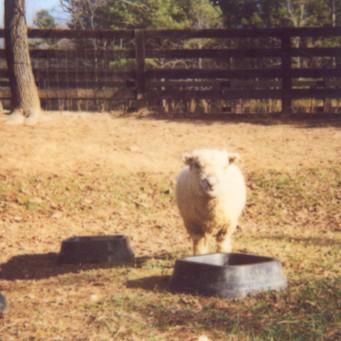 Miniature Sheep live 15 to 16 years. They are quiet and gentle. They love weeds, honeysuckle and kudzu. Miniature Sheep help farmers clean ground in vineyards, high bush fruit fields, and small orchards. They are small enough not to damage the fruit and do not eat the bark off trees. They keep down weeds, insects, and leave behind all that fertilizer! Southdown Sheep originated around the late 1700’s in the Southdown hills of Sussex County, England. They were popular because of their extreme hardiness and they produced a carcass with tenderness and good flavored meat unmatched by any other breed. They are one of the oldest of the English breeds of sheep. 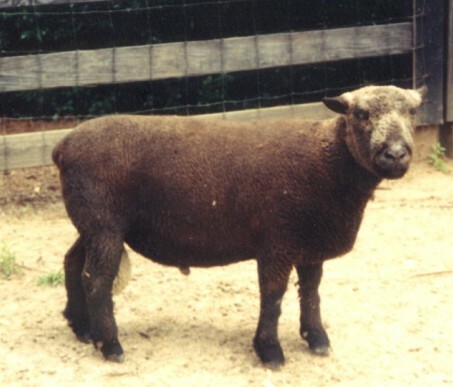 Southdown Sheep were imported to the United States in 1803. 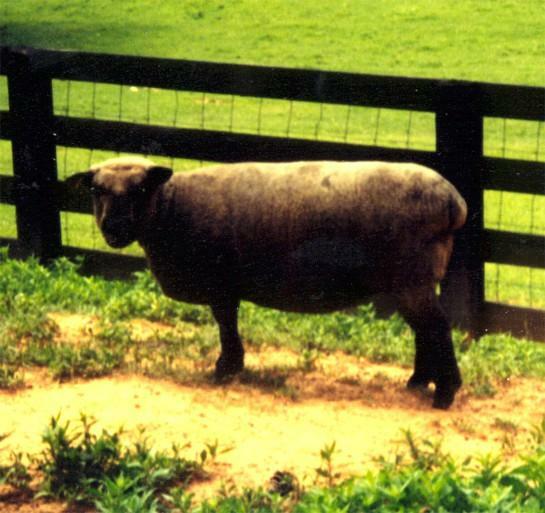 However, due to the demand for larger sheep, the American type Southdown grew into a much larger version of the popular British sheep. By the 1900’s, the breed was almost forced into extinction. 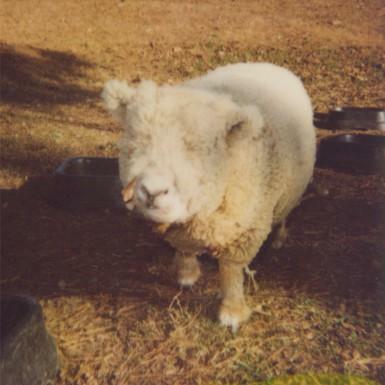 In 1986, Robert Mock began searching for the small Southdown sheep with the bloodlines of the original Southdown. After a four year search, only 350 purebred Southdown sheep were all that could be traced to still exist and many of these still maintained their original Southdown registration papers. 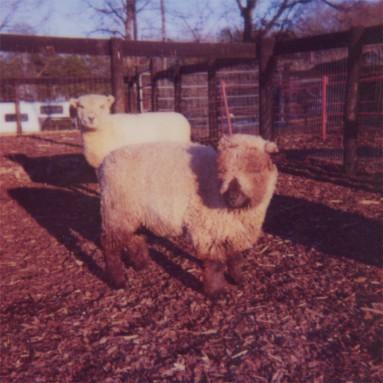 To distinguish these small sheep from the larger modern Southdown, Mr. Mock named them “Olde English Babydoll Southdowns”. To keep this line pure, a registry was formed in 1991 called the “Olde English Babydoll Southdown Sheep Registry”. The registry followed strict guidelines in admitting animals and only registered adults two years and older that were judged against a standard and verified by a veterinarian. Once a small number of foundation animals were established, the registry closed to outside bloodlines. By doing this, the bloodlines of small sized Southdowns were kept pure. 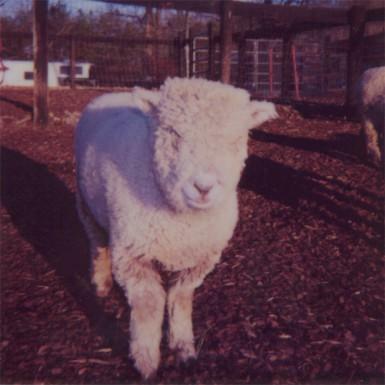 The registry was able to preserve the original Southdown sheep and grow in numbers eventually leading to Babydoll Southdowns being returned to England in January of 1999 to rebuild the breed in its homeland. 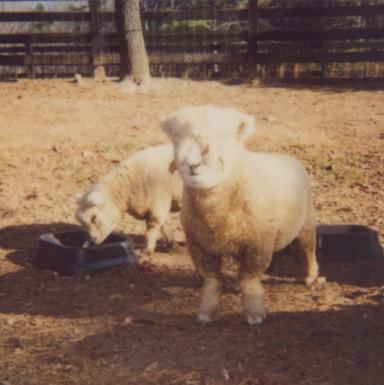 Only after many exhaustive efforts of a small group of dedicated breeders who have fought to preserve the original bloodlines have the numbers of Babydoll Southdown sheep gained resurgence. The registry breed standards are a height of 24 inches or less at the shoulder without wool when fully mature at age two. Babydolls get their name from their attractive teddy bear faces. Neither males nor females have horns. White is the predominant color, however, there are a few blacks. Their wool is short, stapled and fine. Fleece tests at 19-20 microns which puts it in the class of cashmere. It has more barbs per inch than any other wool types and makes it ideal to blend with mohair, angora, or alpaca to make a stronger yarn without losing softness. It also felts well. 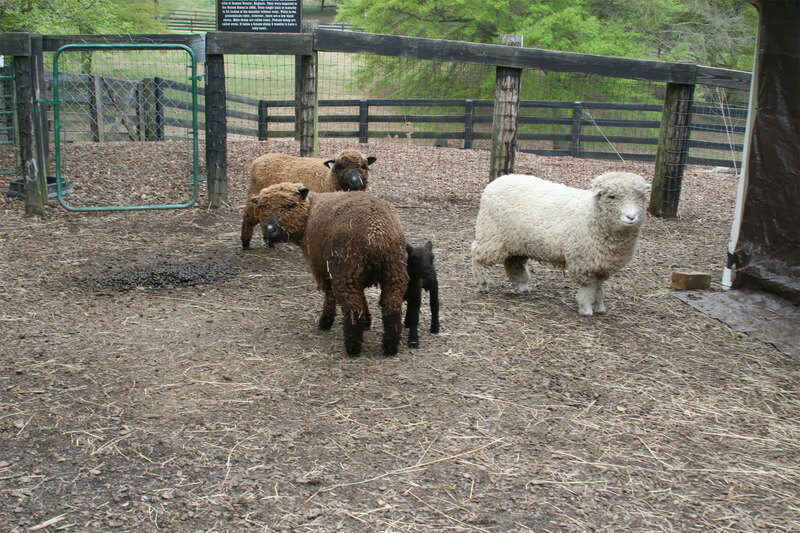 Here at Tanglewood Farm, our “Miniature” Babydoll Sheep are much smaller than the current standard average size and we have focused our breeding for best temperament, conformation, health and finest fiber. Our sheep average 18 inches tall. Most breeders raise Babydolls averaging 20 to 24 inches tall. Our ewes average 75 pounds whereas other breeders with taller 24″ sheep average 120 to 140 pounds with rams reaching 240 pounds. Our breeding program is to preserve those tiny bloodlines with respect to the Olde English Babydoll Registry standards. The Babydoll is very well natured and easy to handle with an affectionate disposition. Tanglewood bloodlines frequently produce twins and occasionally triplets. Our Babydoll Sheep are hardy and very efficient eaters. Sweet TINY bottle fed baby boy. Used in therapy programs. Very friendly. Comes when you call. Shots, dewormed.